As much as we are assured of peace in Christ (John 16:33), and His presence with us in all we go through (Hebrews 13:5), Jesus never promised that our lives would be free from trouble. In fact, He said to expect adversity (John 16:33). To expect trials. The Bible even says to welcome these because of the refining of our character and maturity as we are molded more into His likeness (Romans 5:3-4). But adversity is hard. Sometimes so hard, and so painful and confusing, that we wonder if we will actually come through it. And then there is the grief and regret sometimes, that life didn’t go according to plan. That we made poor choices. That others hurt us in ways we didn’t expect. I am thankful for a God Who redeems, Who brings beauty from ashes (Isaiah 61:3). A God Who restores, even for time itself, when the locust has stolen the years (Joel 2:25). But what about being in the middle of something really hard, something you know God would have you persevere with? A difficult marriage. A difficult job. Singleness. A strained family relationship. What about the temptation to give up and walk away? The words of Jesus in the verse above (in the context of His return) have been something that encourage me so much in times that are hard. Keep on, and continue in, those relationships and circumstances I know God has entrusted to me for this time. When I read this passage I am reminded of what Jesus said of our walk with Him being the narrow way (Matthew 7:13). The high call (Philippians 3:14). None of this is at all easy. Especially when I think too long about my feelings in a difficult situation, or about needs not being met, but when I lift my focus to God, to His glory, to His bigger, eternal purposes that may not be clear for the moment, then I find myself strengthened. I find that a kind of joy comes even – not in the difficulty, but in the presence of God’s Spirit at work within me. ‘I press toward the goal for the prize of the upward call of God in Christ Jesus’ Philippians 3:14. In our weariness to persevere, and especially our weariness to persevere with excellence, let’s draw near to God. Let’s wait on Him, until He has renewed our strength (Isaiah 40:31). Let’s behold His beauty and His goodness, His holiness and His love, strong in devotion to this awesome God we serve. Our confidence in Him, will be richly rewarded (Hebrews 10:35). *This post was originally published in March 2010, and has been reworked here. © Article and Photo by Birgit Whelan Copyright 2010, 2014. It was an early, winter morning. It was still dark when Derrice received the call. Her mother had been found on the floor, unable to move, unable to communicate, and body contorted. The situation was desperate and the prognosis looked bad. Derrice arrived at her elderly parents’ home within minutes. She prayed all the way. If her mother was to die today there was so much left to say, so much left to share. And so many questions. Did her mum really know God, Derrice wondered. She grew up in a generation of churchgoing, but you can attend church and still not be saved. There was an urgency when Derrice arrived with paramedics and other family already making arrangements to transport Glenna to the nearest hospital by ambulance. When she saw her mother, Derrice was shocked and distressed. Glenna’s eyes were wide and frightened, one side of her face was paralysed and her hands were taut and twisted by her body. She could not say a word. The family formed a circle and prayed to God, interceding for their much loved wife, mother and grandmother. ‘Is it a stroke?’ Derrice asked the medical staff. They thought so, and insisted she get to hospital immediately, as the situation was serious. Glenna was laid and fastened on the stretcher in the ambulance. A paramedic boarded with her, and strapped himself beside her. Derrice boarded too, and was belted into a seat near-by. The doors were closed, and the ambulance sped away. The siren blared. Ahead was a sea of red brake lights, as cars parted to make way for their speeding vehicle. They lurched forward as the ambulance took a bend at speed. Just as well Mum is strapped in, Derrice thought. She looked over at her mother. She looks so frightened. What is she trying to tell us? Will we ever be able to communicate again? Glenna was extremely distressed, twisting and making noises. Still unable to speak and desperately looking around the ambulance with wide frightened eyes. Derrice was scared and helpless, what was going to happen to her? She started to pray again. That God would heal her mother and give them all a second chance. That He would give Glenna a divine encounter with Him, so that she would have a chance to know Him for real. Instantly, Glenna’s hands stopped twisting, the expression in her eyes changed and she became calm. Fear left her. There was a thick peacefulness. At that moment, Glenna’s speech returned. “I can’t believe it, your mum is talking,” the paramedic said. “That’s the power of prayer.” Derrice replied. “It’s something,” he said, nodding his head in almost disbelief. A week later, Derrice sat with Glenna in her hospital room. They talked about the trauma of that morning that had brought them here, and what had happened in the ambulance. “Do you remember anything unusual?” Derrice asked. “No, not her. That lady said good-bye to us the ambulance door. She asked you if she should drive your Dad to the hospital behind the ambulance. Derrice’s heart began to race. Maybe her mum was confused. There was no other woman in the back with them. She began to test Glenna to see if her mind had been muddled, but Glenna recounted every detail correctly – the conversation Derrice had had with the hospital paramedic, where they were each sitting, even the route to the hospital. Derrice remembered how she had sensed the presence of God so strongly over her mother on the journey. Derrice remembered the expression in Glenna’s face change, the way she became peaceful, and wondered if that was the moment. “I did think it was funny, you know,” Glenna said; Derrice looked at her. Glenna sat taking it all in, questioning her own sanity. Physically, there had only been three in the back of that ambulance that morning. Her mother, herself and the hospital paramedic. As she reflected, words from Scripture came to her mind, “For He shall give His angels charge over you to keep you in all your ways,” Psalm 91:11. “Are not all angels ministering spirits sent to serve those who will inherit salvation?” Hebrews 1:14. The excitement set in. Derrice was filled with awe and joy that an angel of God had ministered healing to her mother. That God had answered her prayer for this healing, and for a divine encounter so that Glenna would know God is real. “Needless to say, my Mum feels so blessed,” Derrice says. “It has totally changed her. She realises that I am not “quite so mad” after all. And how privileged she is to be healed by Almighty God Himself, through Jesus Christ, who came for us. She of course is back home and doing very well. It’s such a comforting thought that God gives His angels charge over us. This verse says that because we have made God our dwelling place, the Person in Whom we live and move and have our being (Acts 17:28), then no harm shall befall us. For He will give His angels charge over us to keep us in all our ways. They will accompany, defend and preserve us. They will lift us up in their hands, so that we will not even strike a foot against a stone Psalm 91:9-13. This gives me confidence to pray in line with this promise and ask God for His angels to accompany and preserve my family and me in situations that may feel uncertain or unsafe, for example. And I believe He answers at these times and I am reassured that I am in the presence of His angels. But what about a particular angel? One special angel that the Lord has set aside and assigned just to me, to watch over me for my whole life? The truth is, Scripture is not definitive on this question, except in the case of children. When Jesus was speaking about children one day, He said to His disciples, “See that you do not look down on one of these little ones. For I tell you that their angels in heaven always see the face of My Father in heaven” Matthew 18:10. We can infer from this that particular angels are assigned to particular people. But then, from what Jesus is saying here, there is more than one angel assigned. Whether or not there is a specific angel for each of us, we know that God has commanded His angels to guard us. I am so thankful for this, but then for me personally, nothing compares with knowing that God Himself, Who is all-powerful, is the One protecting me and looking after me. “Be strong and of good courage, do not fear nor be afraid of them; for the Lord your God, He is the One Who goes with you. He will not leave you nor forsake you” Deuteronomy 31:6. In tomorrow’s post, I will be sharing an account of an encounter with an angel. This will coincide with the day that our programme To the Point will be broadcast in the evening, all about the topic of Angels (if you would like to see this, you can view the programme online at 20:30 at www.revelationtv.com or on Revelation TV SKY 581 in the UK). Scripture reveals a hierarchy in heaven. There are not only angels, but also archangels, cherubim and seraphim. There are principalities, powers and dominions. Jesus even spoke of “legions of angels” Matthew 26:53 which gives us some idea that angels are grouped in an organised kind of way. Over angels are the archangels. While Scripture only mentions two archangels by name – Michael and Gabriel, the Jewish Rabbinical tradition also mentions Raphael and Uriel which I’ve also included here. Michael – His name means ‘Who is like God.’ Michael appears in Daniel, Jude and Revelation. He is a warrior angel, the mighty commander of those angels who do warfare for God against evil. The ultimate example is where Michael fights against Satan in the great battle in Revelation 12, and Satan is cast out of heaven. 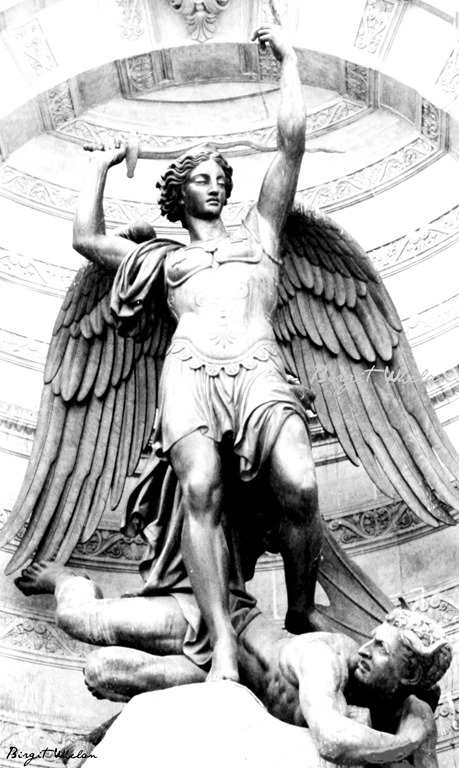 The photo above is a stunning sculpture depicting this from a visit to St Michel in Paris. Gabriel – His name means ‘Strength of God.’ Gabriel “stands in the presence of God” Luke 1:19 and has a major role in both Testaments. Gabriel is an angel of annunciation – he appears as God’s trusted and chief messenger, conveying God’s purposes to His people. It was Gabriel who appeared to Mary and announced that she was highly favoured and blessed among women, and that she would be Jesus’ mother in Luke 1. Raphael – His name means ‘Healing of God.’ Raphael does not actually appear in the Bible but rather in the ancient Jewish texts. Here, Raphael appears as an angel of mercy and is attributed with a role of ministering God’s healing to those who are sick or suffering. Raphael is thought by some to have been one of the three who visited Abraham after his circumcision In Genesis 18. Also, some people evidently think it was Raphael who was the angel at the pool of Bethesda in John 5, stirring up the water so that people could be healed. Uriel – His name means ‘Fire of God’ or ‘God is Light.’ Uriel, like Raphael, does not appear Scripturally and is identified only on the basis of Jewish Rabbinical tradition. There is also a beautiful stained glass depiction of him at Canterbury Cathedral, where he holds a fiery sphere seemingly symbolising his name. Some Christians believe that one of the cherubim that God placed at the east of the garden of Eden when Adam and Eve were driven out, was Uriel – ‘So He drove out the man and He placed cherubim at the east of the garden of Eden, and a flaming sword which turned every way, to guard the way to the tree of life’ Genesis 3:24. While studying for this topic, the role of the seraphim of the heavenly hierarchy also really impacted me. The seraphim are mentioned only once in Scripture, in Isaiah 6. The account describes them as worshipping God continuously, calling out to each other in antiphonal praise, and attesting to God’s holiness, majesty and glory, saying: ‘Holy, holy, holy is the Lord of hosts; the whole earth is full of His glory’ Isaiah 6:3. Tomorrow’s post will cover the angels that rebelled against God ~ Fallen Angels. Next week on Monday 9 June, Richard and I will be discussing the topic of ‘Angels’ on To the Point. 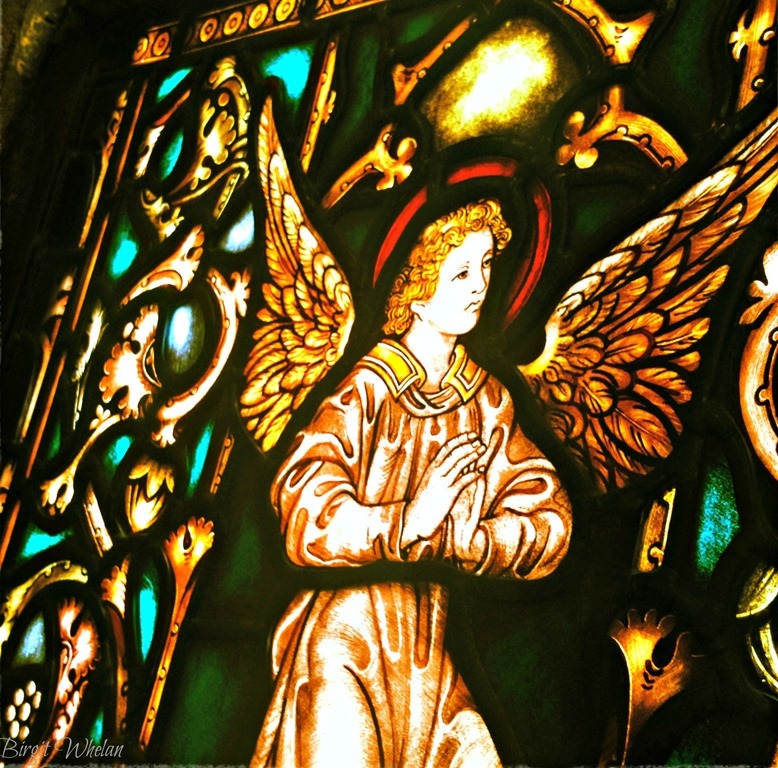 On the programme, I mention that I will re-post a series which I originally published here in 2008 all about angels, in case anyone would like to follow up on some of the themes that we cover during the show. 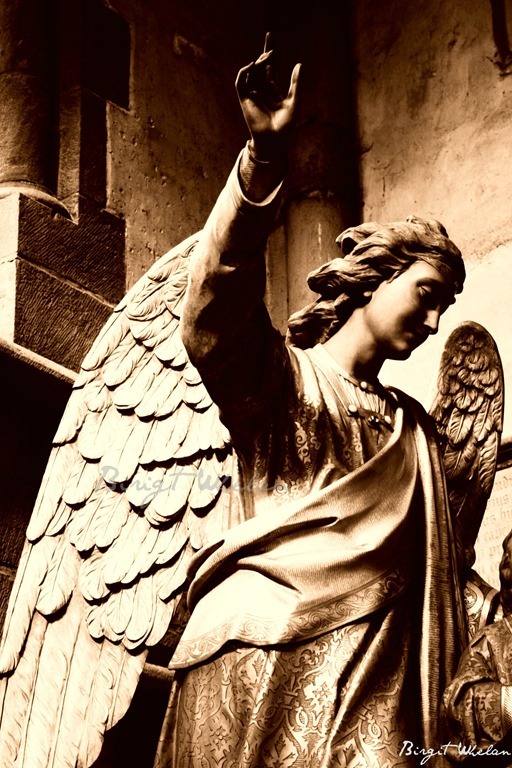 So over the next five days, there will be articles here on the themes of guardian angels, the archangels, and on fallen angels (which we ran out of time to talk about unfortunately), as well as more general information here today about what angels are, what they do, and should we pray to them? which has been done as a kind of question and answer. The last article in the series is called ‘An encounter with an Angel’. This is a testimony which a lovely viewer of Revelation TV shared with me back in 2007 for a programme that we were doing about this topic back at that time, and which she kindly allowed me to share on my blog. I hope this series might give an opportunity to go a bit deeper with what we discuss, and be a blessing. Thanks for your interest :). Have they always existed? No, they are created beings. God is their Creator Psalm 148:2;5. Do angels die? No, angels are immortal, they cannot die Luke 20:36. Are there ‘male’ angels and ‘female’ angels? As spiritual beings, angels have no gender. This in the sense that angels do not procreate; there’s a verse about this in the Bible that says “in the resurrection [people] neither marry, nor are given in marriage, but are like the angels of God in heaven” Matthew 22:30. BUT when angels appear in human form in the Bible, they typically appear as males. Can humans become angels when we die? Angels are an entirely different form of creation to humans. The Bible says that when we die, and we belong to Jesus, then we will receive a new spiritual body as opposed to turning into angels. Should we worship angels? No, angels are not divine and should not be worshipped. More about this later. What are some of the things angels do? Two main things that angels do are worship God Revelation 5:11-12 and minister to God’s people. The Bible says that angels are “ministering spirits sent to serve those who will inherit salvation” Hebrews 1:14. Some of the ways angels do this are by protecting God’s people, bringing messages or guidance from God, carrying God’s people to heaven. Should we pray to angels or ask them for guidance? Angels are servants of God, not of ours. God may send an angel to offer us guidance at a point in our lives, but we cannot summon God’s angels. Anyway, God made us. He’s the One Who knows us inside out and has all the good plans for us, so why not go straight to Him? How many angels are there? There masses of angels in existence. According to the Bible, the number is “innumerable” and too many to count! 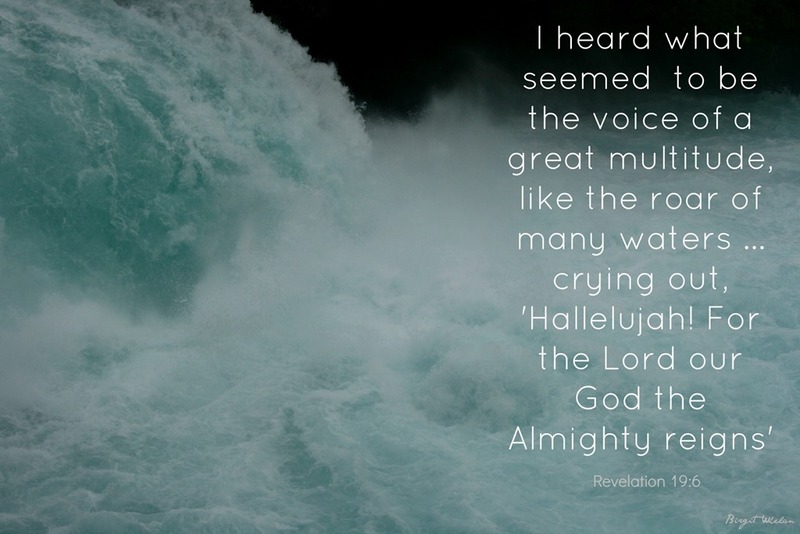 Daniel had a vision where he saw God on His throne surrounded by literally millions of angels – “A river of fire as flowing coming out from before Him. Thousands upon thousands attended Him; ten thousand times ten thousand stood before Him” Daniel 7:10. If you work that sum out, it numbers more than one hundred million! * This programme will air on Monday 9 June at 20:30, and can be viewed in real time online at www.revelationt.com or on Revelation TV (SKY 581). A repeat will air on Sunday 15 June at 13:30. *Quote Reference: Graham, B; 1995; Angels: God’s Secret Agents; W Publishing Group; 30.